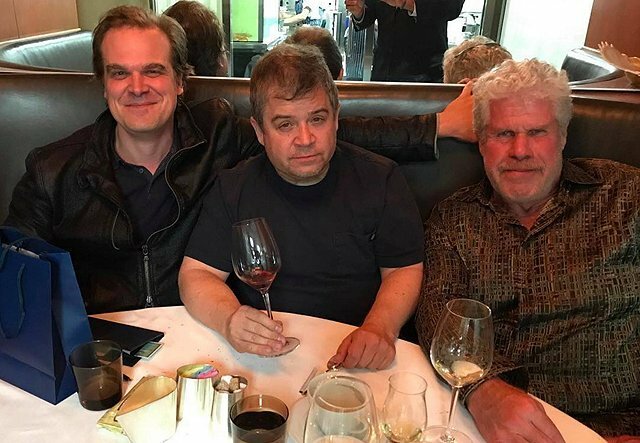 The Hellboy reboot is already in full swing, and to get things started on the right foot, actor David Harbour held a detente dinner with former Big Red actor Ron Perlman (Hellboy, Hellboy II: The Golden Army), with superfan Patton Oswalt mediating between the once and future Hellboy actors. Check out the quotes by all involved below, along with a photo in our gallery of Harbour beginning Hellboy: Rise of the Blood Queen make-up tests for Hellboy’s infamous “right hand of doom”! Set to be an R-rated adventure, Millennium Films is hoping to start production on the film this September with director Neil Marshall (The Descent, Game of Thrones) behind the camera and starring David Harbour of Stranger Things as the title hero. The film will also feature a script by Andrew Cosby (Eureka), Christopher Golden and Mignola. First appearing in comics in 1993, Hellboy is a demon summoned from Hell by the Nazi occultists near the end of World War II. 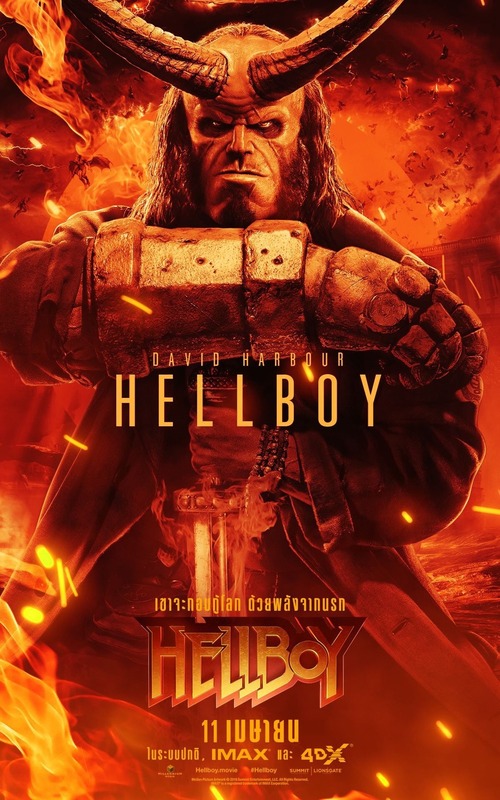 Raised by Professor Trevor Bruttenholm of Bureau for Paranormal Research and Defense, Hellboy went on to be billed as “The World’s greatest occult detective.” The adventures of the character have been chronicled in countless comics, including his time with the Bureau, his early years as a young boy, and even the time he spent in hell after dying on Earth. The main Hellboy title has also served as a launching pad for other characters and stories including Abe Sapien, Lobster Johnson, BPRD, Sledgehammer 44 and others!